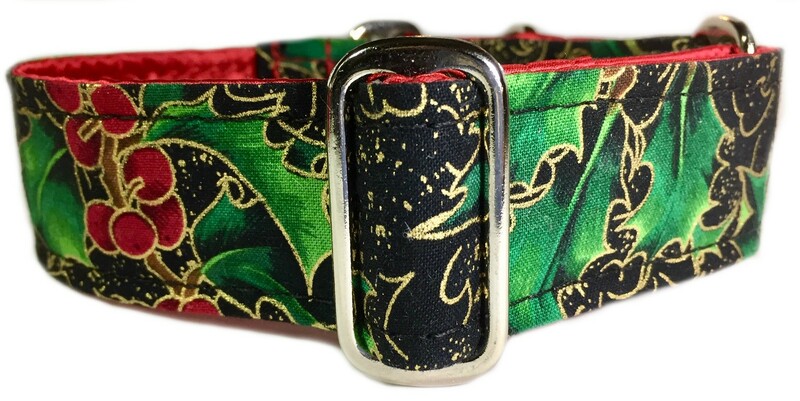 Winter Gilded Holly Holly & Berries outlined in gold makes this a special collar for the winter celebrations while still being durable and washable. 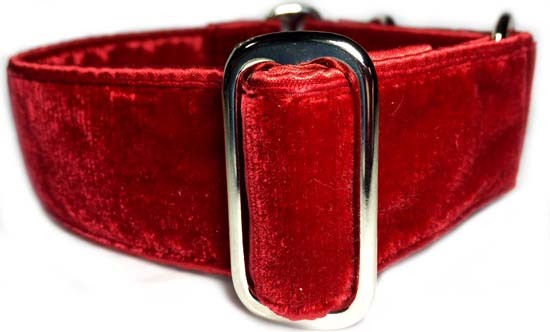 The cotton fabric is sewn against a polypro base that is completely wrapped in red cuddle satin leaving no exposed edges. 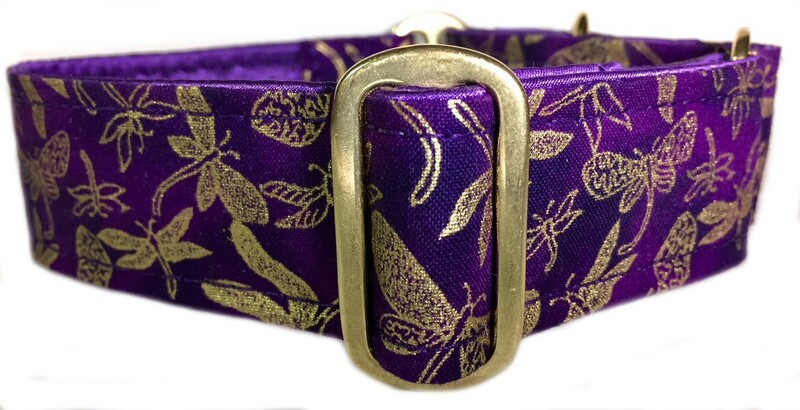 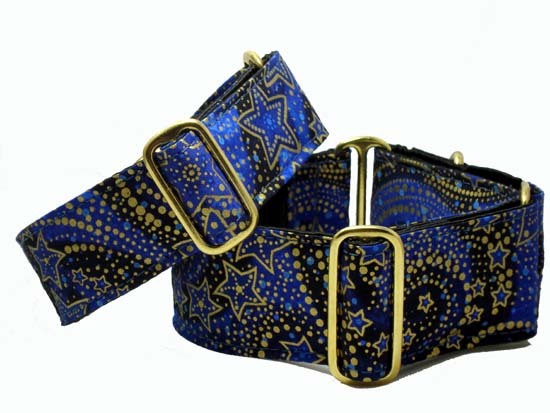 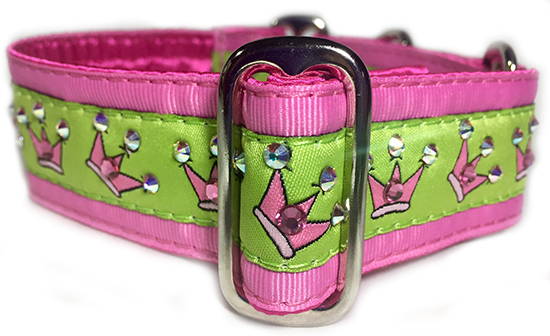 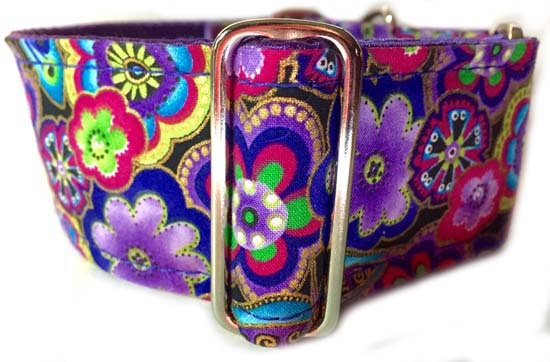 This collar is available as either a 1.5" or 2" martingale in your choice of nickel or brass hardware. 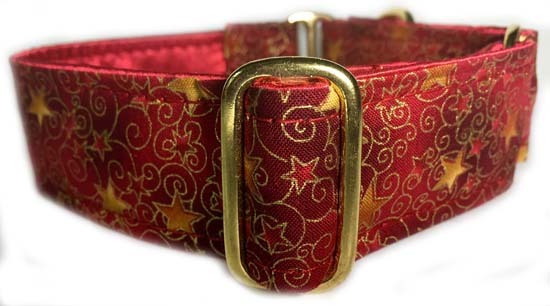 Photo shows a 1.5" martingale put together with nickel hardware.